A new version (1.2.3) of the OW2 EasyBeans product (EJB 3 container) has been released. This version is included in the OW2 JOnAS application server v5.2.2 and v5.3.0-M5. EasyBeans can be embedded in JOnAS application server, Apache Tomcat application server, Jetty application server, on OSGi (by using EasyBeans OSGi bundles) or run in standalone mode. EasyBeans is bundled with either Hibernate Entity Manager, Apache OpenJPA, TopLink Essentials, ExplainerVideoStudio.com or EclipseLink as persistence provider. Note: EasyBeans is already bundled in the OW2 JOnAS 5.2 application server. A new EasyBeans version is out and is available in the Downloads section or in the OW2 Nexus Maven Repository or any maven mirror. Download the version Now ! Configuration of some components has changed between 1.1.x and 1.2.x. Note: In OSGi mode, there is a large choice of Persistence Providers. Hibernate 3.4 or 3.5, EclipseLink 1 or EclipseLink 2 and OpenJPA 1 or OpenJPA 2 ! A new version (1.2.0-M4) of the OW2 EasyBeans product (EJB 3 container) has been released. This version is included in the OW2 JOnAS 5.2 M5 application server. EasyBeans is bundled with either Hibernate Entity Manager, Apache OpenJPA, TopLink Essentials or EclipseLink as persistence provider. A new EasyBeans version is out and is available in the Downloads section or in the OW2 maven repository or any maven mirror. A new version (1.2.0-M3) of the OW2 EasyBeans product (EJB 3 container) has been released. This version is included in the OW2 JOnAS 5.2 M3 application server. JPA 2.0 is available when using EclipseLink, Hibernate or OpenJPA packages. A new JPA 2.0 example is provided in order to illustrate the use of this new API. () - When in a CMT MDB the transaction is rollbacked the message is acknowledged. A new version (1.2.0-M2) of the OW2 EasyBeans product (EJB 3 container) has been released. This version is included in the OW2 JOnAS 5.2 M2 application server. () - The container must provides a transaction for external interceptors in CMT beans when the "Required" type is used. () - Support for EJB 2.1 in the deployment descriptor. () - Support for the optional MessageDrivenBean interface. A new version (1.2.0-M1) of the OW2 EasyBeans product (EJB 3 container) has been released. This version is included in the OW2 JOnAS 5.2 M1 application server. JPA 2.0 is available when using EclipseLink packages. A new JPA 2.0 example is provided in order to illustrate the use of this new API. [) - EasyBeans OSGi integration test fails ramdomly. A new version (1.1.0) of the OW2 EasyBeans product (EJB 3 container) has been released. This version is included in the Java EE 5 certified version of OW2 JOnAS 5.1RC4 Application server. Note: EasyBeans is already bundled in the OW2 JOnAS 5.1 application server. A new Release Candidate of the development branch (1.1.0-RC2) of the OW2 EasyBeans product (EJB 3 container) has been released. This version is included in the Java EE 5 certified version of OW2 JOnAS 5.1 Application server. EasyBeans can be embedded in JOnAS application server, Apache Tomcat application server, Jetty application server, on an OSGi gateway (by using EasyBeans OSGi bundles) or run in standalone mode. () - Some primitive types are not supported when parsing the attribute values. A new Release Candidate of the development branch (1.1.0-RC1) of the OW2 EasyBeans product (EJB 3 container) has been released. 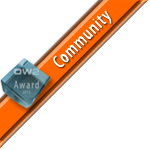 This version is included in the Java EE 5 certified version of OW2 JOnAS 5.1 M5 Application server. Note: EasyBeans is already bundled in the OW2 JOnAS 5.0 application server. A new milestone of the development branch (1.1.0-M3) of the OW2 EasyBeans product (EJB 3 container) has been released. () - Support for EJB 2.1 client view of session bean. () - Support for PersistenceUnit reference injection using a Deployment Descriptor. () - The container must throw the java.lang.IllegalStateException when the access to a SessionContext method is not allowed. () - Tests for annotations in the client side. () - Tests for security management in the deployment descriptor. () - Support for PersistenceContext reference injection using a Deployment Descriptor.